The Twin Fang Assassin is a melee Assassin making use of the Twin Fang Strike skill in the Claw tree. The build makes use of Assassin’s fast attack speeds, heavy spell damage, innate avoid, physical damage reduction and life leech to run through enemies like a hot knife through butter. This build is somewhat similar to the melee Paladin – both are essentially ‘melee casters’, i.e. both attack in melee, but the main source of the damage comes from the procs produced on attack, rather than from the weapon itself. Twin Fang Strike: The attack skill around which our build is based. It is a claw skill which produces short ranged fire and poison spirals from your character, hitting enemies all around you. The fire and poison missiles are enhanced by spell damage, which coupled with enemy resistance piece can produce devastating damage in a small area. Way of the Spider: It is a passive skill which adds flat poison damage to our attacks and gives a boost to the poison damage component of Twin Fang Strike. Way of the Phoenix: It is a passive skill which adds flat fire damage to our attacks and gives a boost to the fire damage component of Twin Fang Strike. Beacon: It is an Uber skill which can only be accessed after our character hits level 90. When activated, it periodically targets a nuclear strike at a random nearby location, dealing heavy elemental damage. The damage is enhanced by our character’s energy. It also gives an incredible speed boost to our character. Queen of Blades: When activated, it periodically casts shurikens at our enemies, dealing a portion of our weapon’s damage. This is useful early on in the game, but becomes redundant towards mid game when our main damage starts coming from spells. Bloodbath: Our innate skill. Our This claw based skill leaches a percentage of our maximum life on kills, and therefore is essential for our survivability – especially early in the game. Perfect Being: Our third survivability skill. It is a passive skill which gives us a chance to avoid incoming attacks. Avoid is essential to our character because of our low HP (Hit Points) and almost non-existent defense rating. Prismatic Cloak: It is an Uber skill which can only be accessed after our character hits level 90 and we complete the Ennead challenge. It is a passive skill which reduces a flat amount of income physical as well as magical damage. Blink: When cast it teleports you to the desired location on screen, and stuns enemies at the destination. This is very useful when faced with large monster packs. You can blink on top of them and finish them with TFS when then are stunned. Vampiric Icon: It is an Uber skill which can only be accessed after our character hits level 90 and we complete the Black Road challenge. When cast, it generates a symbol on the ground which leeches a portion of enemy’s HP when they step on it. If used correctly, it can be a lifesaver in tough situations. Shedim runeword gives poison damge to our attacks, and reduces poison resistances of enemies. We will switch this for Spellgrip at the earliest - Hunting Banshee on attack, +skills, enemy fire pierce, resists, FCR, flat energy make it the best early game item for this build. Enemy poison pierce, vitality bonus, lots of reanimates make this a very good option. Lumen Arcana provides +1 skills and enemy resistance pierce early in the game. When we level up and can afford to spend some points in strength, we can switch to Queen of Glass. It provides us resists, FCR and upto -20% enemy pierces, so is the best early game armor for our build. TFS consumes a lot of mana, so a helm like Stillwater takes care of our mana needs early in the game. Other options are Umbaru's Jinx mask (Fire & Poison spell damage) or an honorific helm cubed with fire and poison spell damage. The later option is better if we are not able to spare attribute points to put into strength. Rainbow runeword provides us with a little spell damage boost and decent resists initially. We should switch this for Moonwrap sash as soon as possible since the later gives awesome spell damage, good resists and has very low strength requirements. Iblis runeword provides fire spell damage and a good energy boost early on. Subsequently we should switch this for Kali runeword which will give us +2 skills, 10% max fire resists and fire splash proc on kill, which is further boosted by our fire spell damage. Wake of destruction gives us fire & poison spell damage, resists and energy factor to spell damage. But due to high strength requirements, it is convenient to use an honorific pair of boots cubed with fire and poison spell damage. or Rare ring with +1 to all skills. Dual Empyrean Bands are best - Singularity proc on kill, increases max life & mana, and attribute bonuses. or Rare amulet with +1 or 2 to all skills. Angel Hearts give us +1 skills and strength & dexterity bonuses which are required for equipping the above items. We start off with a claw and shield. We should use crucify as our main attack which deals good damage to mobs and single targets alike. At level 6, we get access to WOTS and SR. SR gives us bonus (buff) which reduces a percentage of physical damage inflicted on us, as well as boosts our attack rating and poison spell damage for a short duration. I like to set my left mouse button as SR, and switch right mouse button with Crucify / TFS / Bloodbath as needed. We will hit enemies with SR to activate the buff, then kill them off with our other skills. Hitting the enemies with Bloodbath once in a while is good as it will heal us when we kill monsters for a short period. We can do Tristram runs and kill Griswold for Gift Boxes till we get Spellgrip. Else we can carry on with Shedim and look for Spellgrip later on. TFS should melt our enemies early on. Mana will be the only concern here. If we can get Stillwater early, then there will be no stopping us. We should disenchant any unwanted TUs that we find to arcane shards using the Catalyst of Disenchantment dropped by the Smith. By the end of Act 1, we should be having most of our early game gear. We will try to increase our resistances as much as possible before proceeding to Act 2; so we will be socketing our items with Bloodstones, Onyxes, Amber and Turquoises as needed. Spare sockets can be filled up with Tal Runes. We can hire a Shapeshifter Mercenary from Act 2 for his Bloodlust aura. I personally do not use Mercenaries much, but they can be useful for leveling up quicker. In Act 3, we can farm Mephisto in order to get Arcane Crystals, which can be used to upgrade our existing unique items to the next tier, or create any new tiered unique items which we require. Since higher tiers of uniques have high strength and dexterity requirements, we have to make sure we have the requisite strength and dexterity before crafting the uniques. In Act 4, we can get the Catalyst of Destruction by killing Hephasto. This can be used to create base items for making our runewords. In Act 5, we can get Mark of Infusions by completing Larzuk's quest. These can be used to create honorific items. We can cube our honorifics with mystic orbs. The main stats we are looking for are: +fire spell damage, +poison spell damge, +Energy, +Dexterity, FRW, in that order. Towards the end of Act 5, we will have to complete the Level 1 challenge (described below). By the time we finish Hatred, we should be around level 54-60. We have to complete this before reaching level 50. I recommend heading to Tran Athula (Act 2 -> Halls of the Dead -> Island of Skatara -> Tran Athula) immediately after reaching level 48, which will enable us to use max skill levels of our skills. The area is filled with amazon archers which deal a lot of damage. We should ensure we walk, and not run in order to make use of whatever defense rating we have. If we have Leoric's Legion shield, then its reanimates will do the tanking for us, making it much safer for us to navigate the area. Else we can also cube any honorific items on us with skeleton reanimate mystic orbs. Don't forget to cube the Prism with the resistances scroll rewarded by Malah after rescuing Anya. Upgraded to tier 6. Be careful about the high dexterity requirements. Upgraded to tier 6. Be careful about the high strength requirements. A circlet crafted with Fascinating or Shimmering shrines with +2 or 3 to skills and good spell damage and pierce. We should add fire spell damage and poison spell damage mystic orbs to pump up our damage. We will remake this runeword in a tier 6 leather gloves (low strength requirement), and fill the first 3 sockets with jewels. See the Jewel Crafting section for more details. We can keep our Hatred boots. We will upgrade the TU boots to tier 6, or add additional mystic orbs to the honorific ones. Rings: Rare rings with +1 to all skills and fire/poison spell damage / pierce. We can keep the Empyrean Band(s) if we need more strength / dexterity. This Amulet gives us +1 skills, increased life & mana and resistances. More importantly, it gives us +100 Mana on kill, which will take care of our higher mana requirements going forward. In Act 2 Terror, we'll see that the monsters start hitting us pretty hard. We will die if we directly confront a large mob. To survive till we hit level 90, we can make use of Blink to jump onto enemies, stun them, and finish them off. We should never blink to the center of the mob, rather just to the front/side of it. We should be continuously upgrading our weapons as we advance through Terror. TFS would be having really steep mana requirements by now, so we should look at items with +mana on kill, and Teganze Pendant amulet. We can also cube our claw with +MOA mystic orbs to make up for mana requirements. We will have to do the Ennead Challenge before reaching level 80 and Level Challenge 2 before reaching level 90 (see details below). At around level 90 (Act 3-4), monsters will start dropping sacred rare items and shrines. We can craft our items using these sacred rares. If we are able to get a base or a magic sacred item instead of a rare, then we can use the reward from Charsi's quest to covert the items to rare, and then use them for crafting. We should store all shrines that we get our hands on, because shrines and crafting will be an essential part of our gameplay going forward. At level 90, we will get access to our uber skills - Beacon, Way of the Griphon and Phase Bomb. Way of the Griphon adds lightning damage to our attacks, but since we are relying on fire and poison missiles, this is of no use to us. Phase Bomb is also not an option since it does not allow us to attack enemies with weapons. So we will use Beacon. It will give us a velocity boost which will also allow us to walk rather than run. We will get the Catalyst of Learning by killing Izual in Act 4. Any set items, sacred uniques, rings, amulets, jewels and quivers which are not useful to us should be converted to signets of skill and consumed. We will have to consume 500 signets by the end of the game. We have to complete this before reaching level 80. 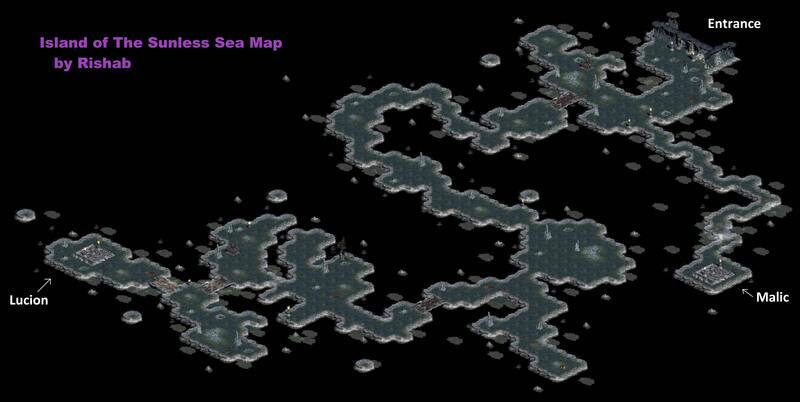 We will go to Kurast 3000 BA (Act 2 -> Kurast Docks -> Torajan Jungles -> Kurast 3000 BA) in Hatred difficulty. The area is filed with totems which make enemies nearby invulnerable. The totems are themselves surrounded by skeletons. So we will have to kills the totems first, and then kill the skeletons. By now our character would be quite strong, so the skeletons and Ennead Necromancers would be of no problems to us. Each necromancer has a 1/7 chance of dropping our class charm, so we may have to run this multiple times before we get the Shadow Vortex. We have to complete this before reaching level 90. 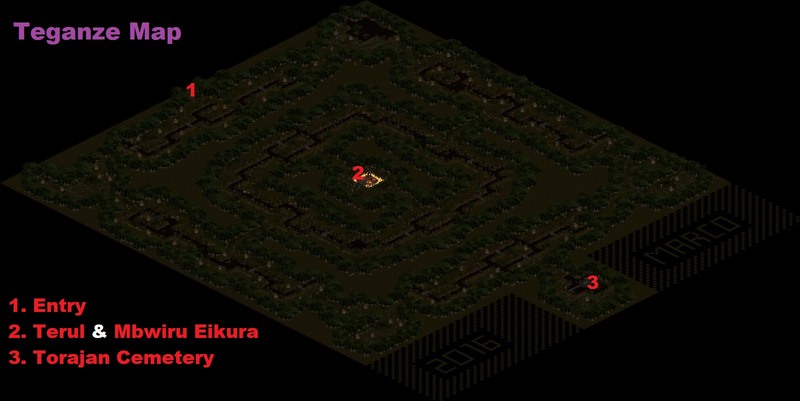 We will go to The Proving Grounds (Act 3 -> Flayer Jungle -> Swamy Pit -> Level 3) in Terror difficulty. The Death Projector is at the center of the room, surrounded by untargettable templars. The trick is to lure all but 1 templar to the room in the bottom left corner of the map, and then blink outside, trapping them. Then we will run around the boss, dodging its instakilling spinning Mindflay attack and the other templar's attacks. We can transmute our class charm with a perfect gem once the boss is dead. TFS damage is enhanced by both dexterity as well as energy. So should we max out or energy, or our dexterity from here? Or do we go for a half dexterity - half energy build? Full dexterity: Putting points into dexterity enhances our attack rating, and also increases our chance of blocking and weapon damage from our claw. But in order to achieve max block (75%), we will have to make a dedicated dexterity based build - we will have to equip Abandoned shrine crafted gear, and socket them with perfect amethysts. While this will make us defensively very good (coupled with damage reduction from SR & Prismatic Cloak and avoid from PB), our damage output will suffer. We will also have a very low mana pool, and it will take hours to complete ubers. Hence it is not an optimal setup for us. Nevertheless, we will still use this setup for certain ubers described in the later part of this guide. Full energy: Putting points into energy gives us mana, and allows us to use Fascinating & Shimmering shrine crafted gear, along with Zod crafted jewels for additional spell damage. We will not be needing block for most part of the game, because we will be killing enemies quicker than they can hit us. We are not too much reliant on attack rating because we don't need to actually strike the enemies to inflict damage - the fire and poison twisters are triggered even if we miss, and those are the key source of our damage. If we want to make use of our flat fire and poison damage from WOTS & WOTP, then SR's attack rating bonus is more than enough. Half dexterity - half energy: This will give us neither max block nor descent damage output and hence should be avoided. We will keep all jewels with item level 90 or above that we find. (Item level of items can be viewed if one is using Plugy). These jewels can be converted to crafted jewels by using runes, arcane shards and oils of craft. We will be using 'Zod' runes while crafting, as they provide us with spell damage. We should aim for the following stats on our jewels in order of priority: At least 2% spell damage, flat life, FHR, IAS, FBR. Jewels can have upto 4% fire / poison damage. Also remember to upgrade your jewels before socketing them. The reason we choose to max out WOTP and not WOTS is that fire damage stacks, unlike poison. Because of our insane attack speed, most of our damage will come from the fire procs which will add up and do multiplied damage. The poison procs however, will not be added up, rather will only trigger the highest amount in the damage range. Any crafted claw with Fascinating or Shimmering shrines, having +4 Assassin skills, fire and/or poison spell damage, fire and/or poison pierce. A fire / poison based proc is an added bonus. Any crafted Assassin shield with Fascinating or Shimmering shrines, having +4 Assassin skills, fire and/or poison spell damage, fire and/or poison pierce. It is better to use a Totem Shield rather than a Bladed Shield because of lower dexterity requirements. Queen of Glass is still useful in end-game. Alternatively a crafted quilted armor with Fascinating or Shimmering shrines, having +2 skills, fire and/or poison spell damage, fire and/or poison pierce can be used. +1 to Assassin skills, good fire and poison pierce. Ideal for us. A crafted pair of boots with Fascinating or Shimmering shrines, having +2 Assassin skills, fire and/or poison spell damage, fire and/or poison pierce. Keep the same rings. Replace with better ones if you find them. Amulet: Rare amulet with +3-5 to all skills and fire/poison spell damage / pierce. It'll be great if we can find one with chance to cast Hymn on Kill. This set has impressive stats and should be used if available. One might argue that by using 2 claws we will lose the benefits of a shield, but hey, we are not using block, so what's the point of using a shield for the sake of it? Destruction game style will be pretty much similar to Terror. We will activate Beacon & QOB, blink on enemies, activate SR, and kill them off with TFS. Killing the Sorcerer in Act 2 will give us the Dark Tome, which we will cube with our class charm to get the dark portal skill. 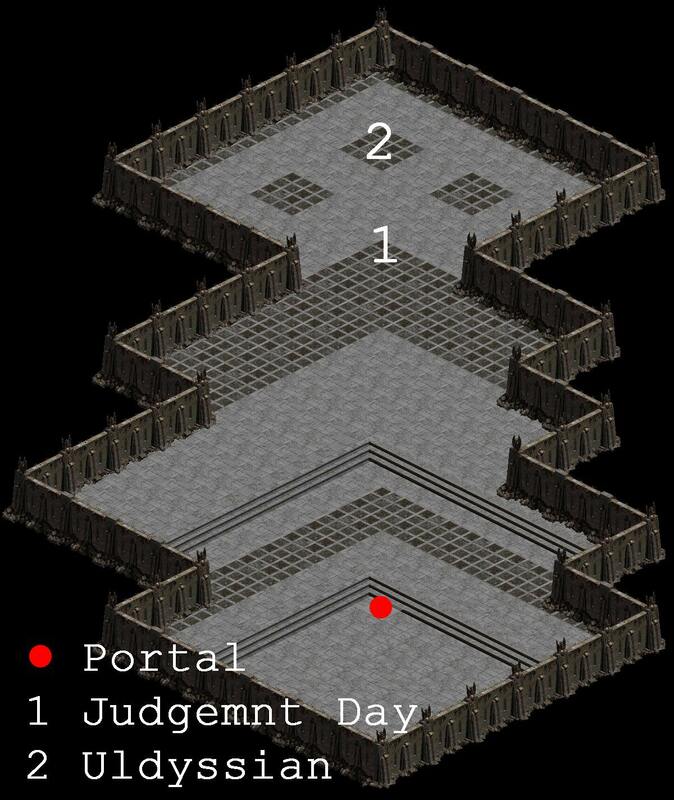 The dark portal can be used to get access to certain ubers after killing specific monsters in the game. During sometime in Destruction, we will have to create our crafted claw, shield and boots. We will cube our crafted claw with LOA and MOA mystic orbs. This will ensure that we will not run out of mana, and are leeching life continuously. Bloodbath will no longer be needed since we will have LOA. For other crafted items, we will cube with +fire spell damage, +poison spell damage, FHR and FBR. There will be a few monsters on Destruction who will be immune to both fire and poison (for e.g. Maghda in Act 4). Such monsters can be killed by using the Ice Whirl Oskill found in our Spellgrip weapon, or any other cold/lightning/magic spell we have access to. We will get Monster Tokens by killing veteran monsters (Clawstorm Terror, Fairy Witch, Glowing Blob, Landmass and Bane Hunter) in Terror and Destruction. We will cube our class charm with 1 of each token to get additional bonuses. While we are advancing through Destruction, we will be completing certain basic Uberquests. We will then be completing the Black Road challenge in Terror Difficulty. Finally, we will be completing the end game ubers. - Ix rune in a sacred totem or bladed shield. This will give us access to summons (Darklings, Skeletal Flayers) which are needed for this uber. Keep summoning Darklings on the Butcher till he spawns a pentagram on the ground. Then blink on the pentagram, then kill the Butcher when he steps on it. We may die a couple of times in the process because of non existent defense and block. Keep the runeword shield for later. It might be tricky since there are so many hard hitting mages in such a small area. 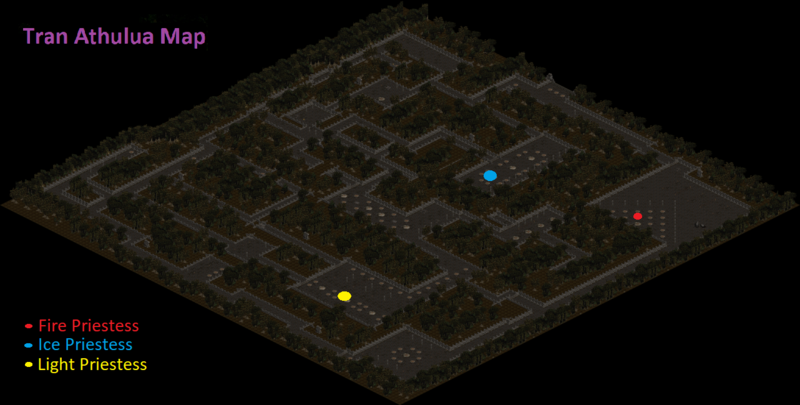 Key would be to run to one corner of the map, try to lure the guys one after another, and kill them with TFS. Hit recovery when in Baal form is very very slow, so if we get hit once, we will more than likely die. After killing the mages, kill Tal Rasha by spamming TFS. Strategy is the same as Level Challenge 2. In this case the boss will attack with a greater frequency than Terror. We will isolate the templars, run around the boss and kill it with TFS. The boss has a ranged attack which will 1-shot us. The Astral Guardians, if they hit us, will grant us a temporary immunity from the boss. So we will make sure we are in run mode, get hit by the guardians, then rush/blink to boss and spam TFS. Run away after hitting him 2-3 times and repeat till he is dead. This is pretty similar to Binding of Baal, but our enemies use throwing axes, guard towers and fortress instead of spells. Diablo morph gives us very fast attack speed and very slow hit recovery. So we will quickly kill the minions while trying not to get hit. King Koth is also easy to kill by spamming TFS. This is very easy to do with this particular build. Enemies are not immune to fire and poison, so we will melt them away with TFS. Our only cause of concern are the Sunless Revealers which cast multi hitting spells. Malic now does not one shot us, so we can rush to him and kill him with TFS. 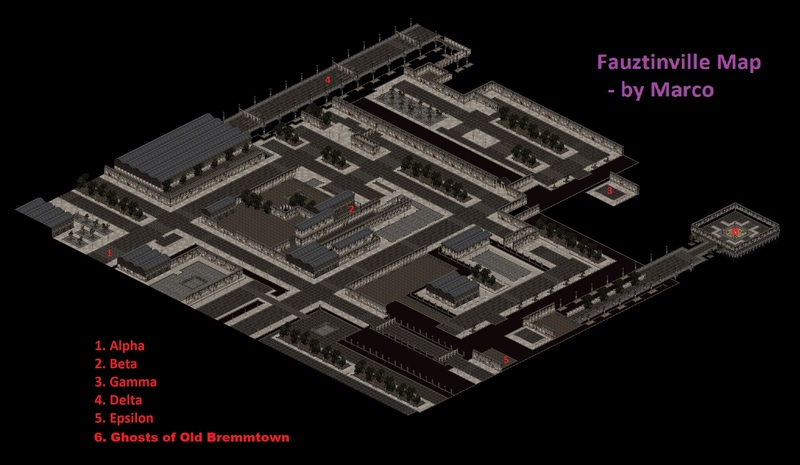 After that, we are going to go deep into the map, make Lucion follow us, lure him away from his minions and kill him. We will try to farm some gold here as it will help us during the Black Road Challenge subsequently. This uber level is filled with hard hitting etherals , untargettable totems which cast punishers, and stationary invulnerable avatars, which have a chance of dropping our charm. Killing the etherals makes other enemies slow and makes the avatars vulnerable to our attacks. With our fast kill speed we can clear this level quite quickly, and if lucky, we get our charm in the process. The punishers deal heavy poison damage and should be avoided at all costs. 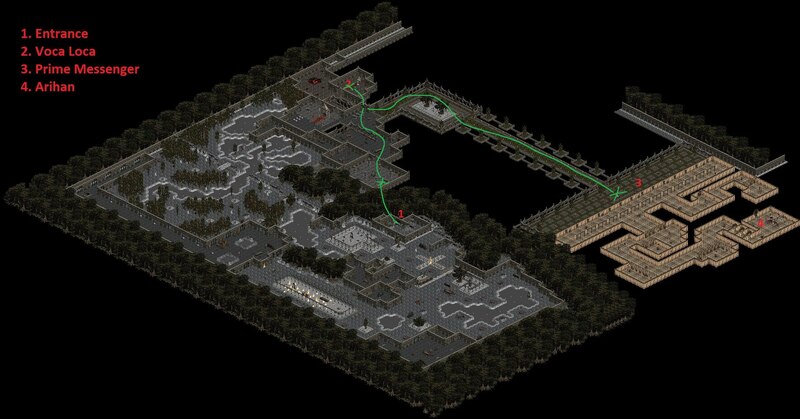 The boss in this area spawns packs of Elite monsters found in Act 5. We can do this in 2 ways - either we rush/blink to the boss directly and try to kill it, or we advance slowly, killing the enemies one by one and then hitting the boss when the time is right. I prefer the second option, as the first will involve a lot of dying. If there are spare level slots available in our crafted items, we can cube them with reanimate skeleton mystic orbs - they will make this uber a lot easier. We have to bring our Ix runeword shield with us. Before entering the chamber, summon Skeletal Flayers and Darklings. Upon entering the chamber, immediately blink onto the top of the boss and spam TFS. Hopefully our summons will be able to tank for a bit till Bartuc is killed. If we die, we have to repeat the process till Bartuc is killed and we retrieve the charm. When we reach the south-west portion of the Jungles, we will encounter Akarat's Followers along side our usual enemies. Before heading into the small island where Akarat is located, we will try to lure most of the enemies (including some stray Followers) to us and kill them. Once Akarat comes out, kill a few Followers to make him vulnerable and finish him off with TFS. Our damage is pretty high so that we can easily kill him in 1-2 seconds. If we are unlucky, he will heal and there will be no more Followers left to kill; so we would have to do the run again. The boss is located at the far west side of the Jungles. There is a narrow passage leading up to Jitan which is filled with Rakis Guards. These guys are a pain at this stage - they cast guard towers which will always hit us because of our low defense, and they cast Singularity on death. So we have to make sure we take a step back immediately after killing them, else we die. After reaching the boss area, we will lure the Guards one by one and kill them. When Jitan comes out, we will spam TFS on him. He will stack Fortresses which are difficult to dodge, so we will die a few times before Jitan is killed. The area is filled with Act 5 elite monsters. We will have to go to the south west corner of the map by fighting through enemies, which is more of an irritation than a challenge. The moment Azmodan sees us, he will cast Flamestrike on us, so we won't stand still near him. He also casts a ranged shower of rocks and Apocalypse. He will summon sacrifices, whose corposes will be eaten by untargettable firebloods and used against us. We will have to dodge all these attacks and kill Azmodan with TFS. Our damage would be high enough to kill him in about 5 minutes. The charm adds +5% to our max resistances, and is one of the best in the game. Now that we have our set of basic charms, we will head to Terror, where we will complete the Black Road Challenge. We have to kill the Butcher and cube our charm within a few seconds after killing it. Strategy is same as Destruction. Hopefully we would have enough gold by from the Island of Sunless Sea uber. We have to keep 666,666 gold in our inventory and cube our class charm. If there is not enough gold, we can farm and sell 2-3 sacred armors in Act 5. We have to kill King Koth and cube our charm within a few seconds after killing it. Strategy is same as Destruction. This trial is the very reason we completed our basic ubers first before starting with the Black Road Challenge. We have to retrieve 5 brains from Fauztineville. 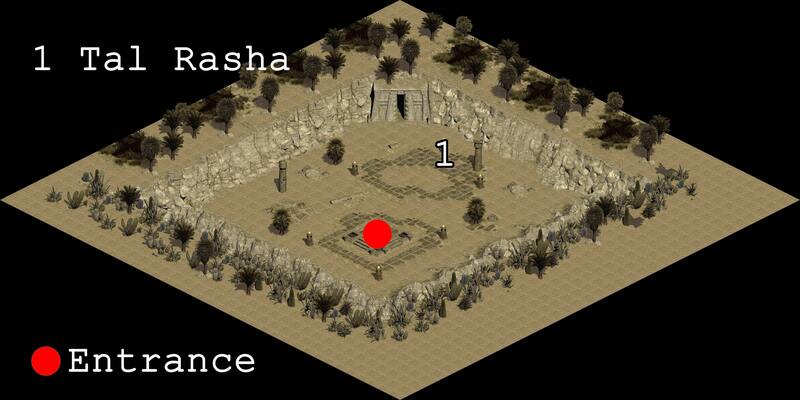 This area is filled with tough monsters which have different immunities to different elements. Thankfully no monster is immune to both fire and poison, so we don't have to worry. Our character will be strong enough with the basic charms to have great killspeed as well as survivability. We might still have to use blink here sometimes to stun enemies before will kill them. Cube the 5 brains with the class charm to complete this trial. We have already done Tran Athula on Hatred difficulty. Terror also won't be much of a problem for us. Skeleton reanimates will come in quite handy here. We have to lure the lightening priestess to the cold one (or vice versa) and kill them both almost at the exact time, then cube our class charm. Because of our high killspeed one of the priestesses may die when being lured, and we will need to remake the game. To prevent this form happening, we may have to turn off Beacon and QOB before approaching the priestesses. After all trials are complete, cube the class charm with 2 Arcane Crystals to complete the challenge and get access to Vampiric Icon, along with 150 life and mana each. We will now complete whatever remaining ubers on Destruction. We can access this by using the left door in the Profane Cells, landing up in the Bastion of Triune, and taking the door in front of us. The area is filled with monsters that dealing ranged physical damage. We are doing this late because we are not defensively strong enough to brute-force this level. We will make use of our Ix shield to summon minions, enter the level and rush/blink to Primus. We should kill him easily and collect the charm. No shame in dying here. Location: Act 3 -> Torajan Jungles -> Kurast 3000 B.A. This is a tougher version of our Ennead Challenge. We will have to lure melee skeletons and mages to where the totem's invulnerable aura is unreachable, and kill them. Then we will blink to the nearest totem and kill it with TFS, and repeat. The Necromancers have a chance of dropping our charm, and we may need more than one run to get it. The necromancer's stacked slow from Miasma and Nightmare can make us very slow, so we have to be careful when approaching them. The area is filled with unkillable chests which cast burn nova from time to time, dropping our HP to 1 and not allowing us to heal for a short time. We have to clear the area of monsters while avoiding the chests as much as possible, and then open a town portal in a corner. Then we can approach Belial. He also casts burn nova, summons henchmen and unkillable ratflinks. He will blink on top of us, which will allow us to spam TFS on him. Since there is no way to avoid the burn novas, we will die a lot in this process. But since the boss does not regenerate, we will be able to kill him after a while if we are patient enough. 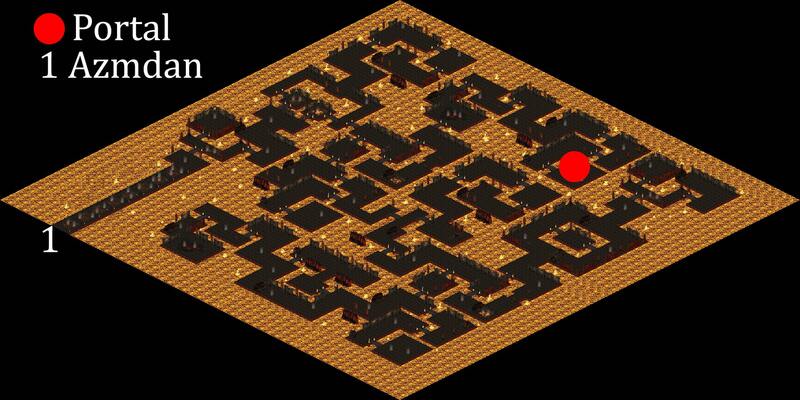 The level is quite tedious to reach, and the quest itself is even tougher. Compared to last patch, it is even tougher since Dark Uldyssian has a pair of bodyguards now. 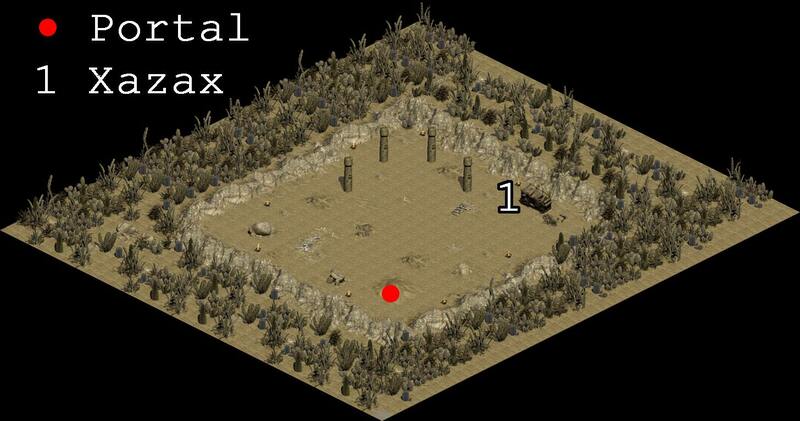 Upon entering the level, we will open a town portal on the extreme left edge of the map. We will then lure the first 3 unkillable barbarians to the extreme bottom-right, and die there. Then we will use the town portal to reenter the level. We will have to bring the Ix shield and spam our summons. When we go to the top part of the map, Dark Uldyassian and his remaining body guards will use Divine Apparition to teleport on us. They will cast tremor from time to time so we will have to keep drinking health potions. Keep summoning Darklings / Flayers till Dark Uldyssian summons Imperious / Malthael. Then kill him with TFS to get the charm. We are not strong enough to kill both Imperious and Malthael at the same time, so we will keep the charm upgrade for a later point in time. Before starting this uber, socket your items with 5 perfect onyxes and 5 perfect ambers to get +10% max cold and lightning resists. Our Kali gloves give us +10% max fire resists, so all our resistances would be at 90% now. We already have 10% fire/cold/lightning absorb from our Judgement Day charm, and 150+ flat damage reduction from Prismatic Cloak, so with this setup, we will be invulnerable to Tsin's trielemental spam attack. He will cast Hive causing poison damage when we are near him, but that is not really threatening for us. His main weapon is a bone nova which instagibs us, and heals the boss when we die. Thankfully he spawns a spirit just before triggering the bone nova, so we should run away when we see it. Otherwise we will just spam TFS on the boss, following him when he teleports away and finally killing him. lightning damage, and finally a Crystal Ball totem, which casts instakilling spinning mindflay and has an aura that makes all other monsters invulnerable. 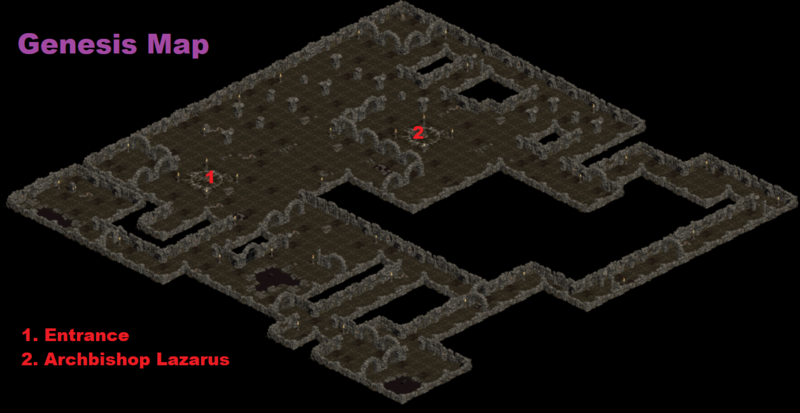 We will have to kite and lure the monsters and Inarius to the small room, or at least the very upper part of the large room. 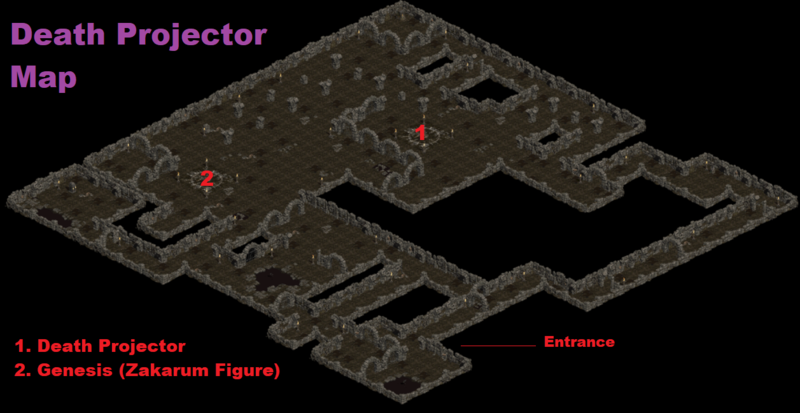 After that, we will blink to the left corner just below the small room, and open a town portal there. Dorian & Grey will attack us, but they can't harm us because of our lightning resists. We will have to carefully dodge the Crystal Ball's attacks by circling around it and killing it with TFS. Once that is killed, finishing off the rest of the monsters is quite easy. Teganze is a large area filled with monsters which fire missiles with different types of damage. The monsters sometimes respawn on death, so we might walk to an area we have already cleared, only to find that it is infested again. Resistances are not much of a help here, so we will have to dodge the missiles like crazy. Dodging should not be too hard because of our good walk speeds. The monsters have low HP and can be killed easily. The boss, Terul, has a ranged sword spiral attack and an instakilling hammer attack, but is quite easy to tank and kill with TFS. At the far end of Teganze, there is the entrance to Torajan Cementary. The cemetery is empty, expect for a single Celebrants, which has to be first made vulnerable by our Edyrem's attacks, and then killed. Killing it opens the portal to Toraja. Toraja is filled with Celebrants (archers) and Morlus (melee), both of whom are invulnerable until attacked by Edyrems. We have to keep summoning Edyrems on top of small groups of monsters (never engage a large pack or it'll be insta-death) and kill them after Edyrems have removed their immunity. Blinking on small packs along with Edyrems helps as it stuns the monsters, as well as makes Edyrems reach them faster. Overall, the area is pretty time consuming to clear. The boss, Lilith, has to be killed the same way. After killing her, we have to cube our Judgement Day charm with an Arcane Crystal in 30 secs. We have to be careful not to die at the moment Lilith is killed (which might happen because of her on death procs), otherwise the whole run fails. Destruction Baal is different from his Terror counterpart. Tanky would be an understatement for him. He will slow us down, drain our mana pool using his mana burn attack, and has a lethal black nova spell which gives us a moment's warning before it is cast under our feet and annihilates us. The worst part - he will randomly summon Minions of Destruction - which pounce on us and increase Baal's damage; and spirits of Andariel, Duriel, Mephisto and Diablo (act bosses) which make Baal invulnerable. As soon as they are summoned, we have to kite these monsters away and kill them. Sometimes the act bosses are summoned too frequently, and it can be very frustrating and time consuming to get rid of them. 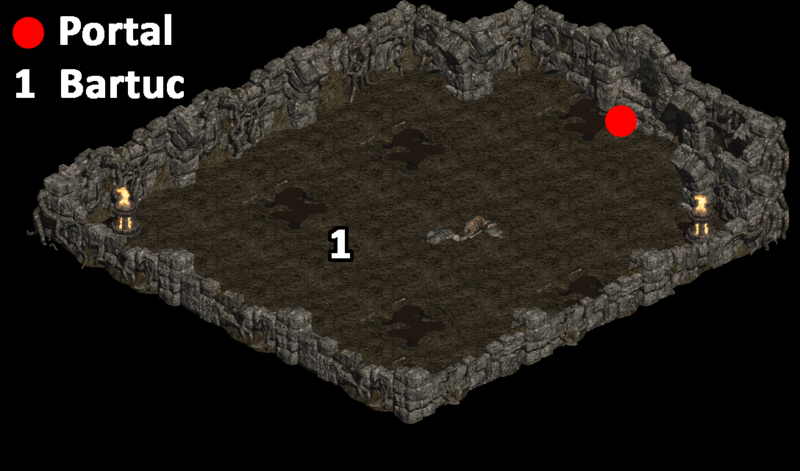 One way around this is to lure the act bosses to the right part of the map (near where we enter) and lure Baal to the small room in the extreme left part of the map - this way the invulnerability aura won't affect Baal and he can be damaged. But irrespective of the strategy, the fight will be long and hard. After killing the boss, we get access to Cow level. The cows in Cow Level are really easy to kill because of our damage output. After clearing the map, we approach the fenced area inside which Rodeo is located. He will blink on us and cast hoofstomp which will knock us back. We will blink on him and kill him with TFS. At this point, our damage will be so high that he will be killed in under 2 minutes. We might die a couple of times because of the exploding cows, but that's ok.
We might think of doing this uber more than once in order to find a good reanimate (preferably elite) from the charm. Luckily I got Storm Shaman in the first attempt itself. Before doing this uber, it is recommended to craft an Assassin shield with the charm Oskill. We have 2 entrances for Triune from the Profane Cells. I prefer the one on the right hand side. We have 2 options here. Either we farm the area for Cycles, which can be kept in inventory to gain a small bonus, or we can directly go for the boss fight. The problem with farming comes from Temple Spires - which are totems that cast an instakilling meteor attack. They are immune to both poison and fire, and hence are a pain to kill. We will have to use Crucify to kill them, which will be a slow process. Other monsters - archons, golems and ice monsters are pretty easy to kill. If we want to go directly to the boss, we can blink to the top-left corner of the map just after entering. It might take a couple of tries to execute correctly. We must first face Voca Loca, who will drop a tome. The tome can be used for killing the main boss subsequently (we'll come to that in a moment). 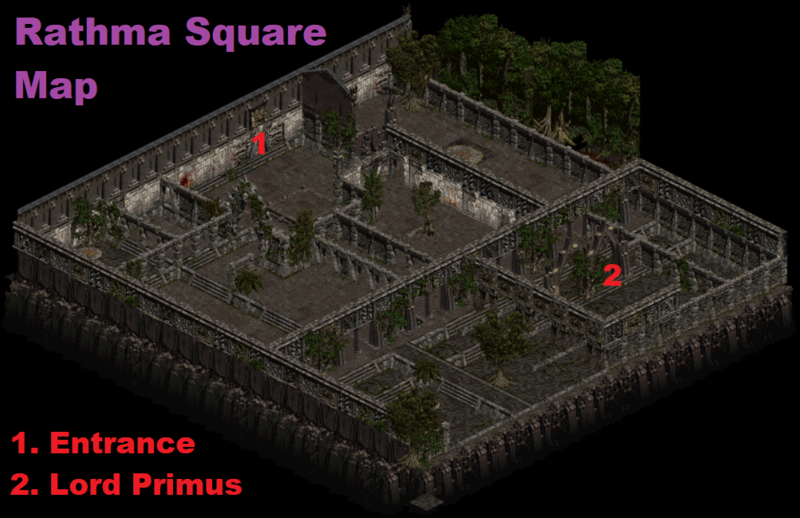 After that we will advance to the right over the long passageway, after which we will come face to face to Primus's Messenger. He is unkillable, and casts fast moving burn missiles which will drain our life to 1 for a short period of time. Any hits in this state will kill us, so we should do whatever it takes to dodge the missiles. We can't harm this guy, so we will clear the area of the other monsters and move ahead. In the interior part of the area, we will meet the most annoying boss ever - Arihan. He cannot be killed directly by us, but can only be killed when hit with Primus's Messenger's missiles. He is slow moving, and will cast a curse that will make a come to a crawl and drop our HP to 1. We will have to make him follow us to the open area where the Messenger is. The Tome dropped by Voca Loca earlier has the Dire Charm Oskill which will make Arihan vulnerable to the messenger's missiles. When near the messenger, we have to keep Arihan charmed continuously, otherwise he will curse us, and we will be killed by the missiles. But the duration of the Dire Charm is totally random and there will be situations when the charm runs out before we know it. It is much better to use our Charm Oskill from our crafted shield, which has a fixed charm duration of 10 seconds. We have to lure Arihan to be as near as the messenger as possible in order for him to get the most damage. At the same time, the messenger will summon deathbats which cast a teleport field when summoned, which will have us teleporting all over the place. Dodging the missiles, keeping away from teleport field, and keeping Arihan charmed is very tricky to do, and will take lots of practice to get used to. When Arihan's HP drops to 50%, he will speed up - this can be used to our advantage since he will now charge at the messenger when charmed, and take more damage. When Arihan is finally killed, he will drop the charm which has a juicy 10% slow target stat. The entire boss fight can be very frustrating and time consuming. We will die loads of time in the process. Each time we die, we have to requip the tome in our inventory (even if we don't use Dire Charm); otherwise Arihan won't take damage from the messenger. Duncraig is filled with hard hitting Slain Souls - some of which throw a powder keg barrel that instakills us. No monster is immune to both poison and fire, so we can clear the area with decent speed provided we avoid the barrels and don't get surrounded by large mobs. Blink and reanimates will come in handy here as well. Some rooms can be accessed only through teleports (blink), so we will make sure we will have Edyrems summoned before moving teleporting. There are 5 minibosses which each drop one ring - they must be cubed with the Ring of Five which drops from normal monsters to create Assur's Bane. This ring has the Purify skill which will be used to kill the main boss, Assur, and in other ubers too. Assur deals heavy fire damage, so before facing him we should have at least 400% fire resists and 90% max fire resists (from our Kali gloves). We can socket some Pul runes in our gear to get additional resists if needed. We can approach him with Edyrems summoned, and use the Purify skill on him when he is distracted by our summons. One or two purify hits will kill him. We may need to do this run multiple times to get +2 Assassin skills stat on the charm. We are doing this very early in the game compared to other builds, and why not - Assassin's agility makes this uber quite easy to be honest. We will need to respec and have a dedicated gear setup for this. a) Block: We will have to achieve max block (75%). There is no other way around. For this, we will respec to a full dexterity based build. We will have to craft an Assassin shield with +1% max block which will make things easier for us. We have to replace all our existing gear with abandoned shrine crafted gear to get the required amount of dexterity to achieve max block. Sockets in the gear can be filled with requisite number of perfect amethysts. runeword (Lo rune in a claw) which will give us 33% slow target. This, along with the Triune charm will give us 43% slow. c) Breakpoints: We will have to reach certain breakpoints in order to be quick enough in fighting the boss. These can be achieved by cubing our gear with the requisite mystic orbs, and filling remainder sockets with jewels having the required stats. Also, we need to turn off QOB and Beacon before starting off. e) Open wounds: Open wounds makes our attacks slowly drain lives of our enemies. Since the boss is only vulnerable to Purify, we will have to use open wounds after purifying him to make his HP drain more effectively. We will equip a ripstar ring with 45% open wounds. This, combined with the stat from our Butcher charm will give us 95% open wounds. Now, the level is filled with Groupies which throw knives and are quite easy to kill. The boss, Laz, is on a whole different level. He will blink on us, dealing heavy damage, and summon Groupies and totems. The totems will cast tremor when we are near them, which will reduce our life to 1. When killed, the totems will slow us down and make us very vulnerable to damage. Moreover, when killed near Laz, the totems will heal him to full - we don't want this to ever happen since the boss is very hard to kill by itself. That is why we removed reanimates and turned off QOB & Beacon. Our strategy will be to clear areas far away from the boss of Totems and groupies. We will then approach the boss slowly and wait for him to blink on us. When he blinks, we will hit him with SR, slowing him down and speeding us up. We might need to attack a couple of times because Laz has innate avoid, and may dodge our attacks. Hitting him will also activate open wounds. Immediately after hitting him, we will purify him, and then kite away. We will wait for Purify cooldown timer to end and let him blink on us again, and repeat the process. If done correctly, the boss will be killed in 5-10 minutes. - Don't panic. Laz can blink on us from a couple of screens away. But with 75% block and very fast block rate we should be able to block him even if he blinks on us unexpectedly. - If we die, we can clear the areas of Totems which are far away from Laz. We may die multiple times in this process owing to the tremor attacks, but that's ok as long as Laz is far away. TFS will clear out both groupies and totems. - When engaging Laz, we will try not to run around too much while avoiding his attacks. The more area we cover while running, the more area will be covered by the totems he spawns. So we will kite in small steps so as to cover smaller areas, yet not get hit by his deathstrike attacks. - Don't press 'Esc' after you die too quickly. If Laz is purified and is in open wounds he will lose a bit of HP even after you are dead. We will make use of our max block here for this uber too. First we have to find the entrance to Ureh. 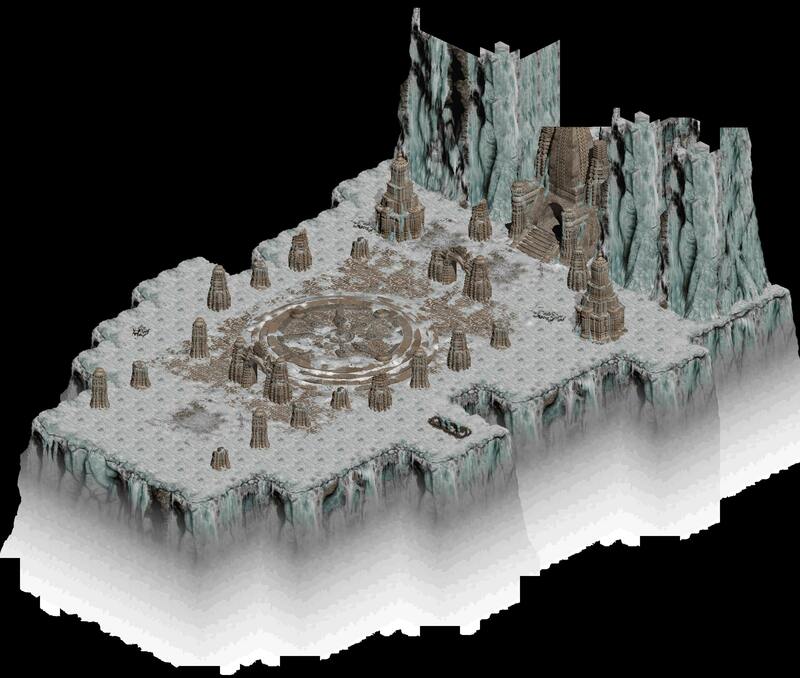 We have to search the gigantic Ruins of Ureh map to find it. After entering the ruins, we will move to the left at roughly a 5-10 degree angle upwards with the horizontal. This search on an empty map will take a bit of time. Once we find the entrance, we will cast a town portal and enter. Ureh is filled with untargettable zombie citizens, turrents and darkwardens. The citizens have melee poison attacks, so it is better to have 90% poison resist on us, although not essential. We will dodge the citizens, strike the darkwardens to activate SR from time to time, and then kite away again. We we get trapped, we will blink to open areas, drink potions, and cast town portals from time to time. 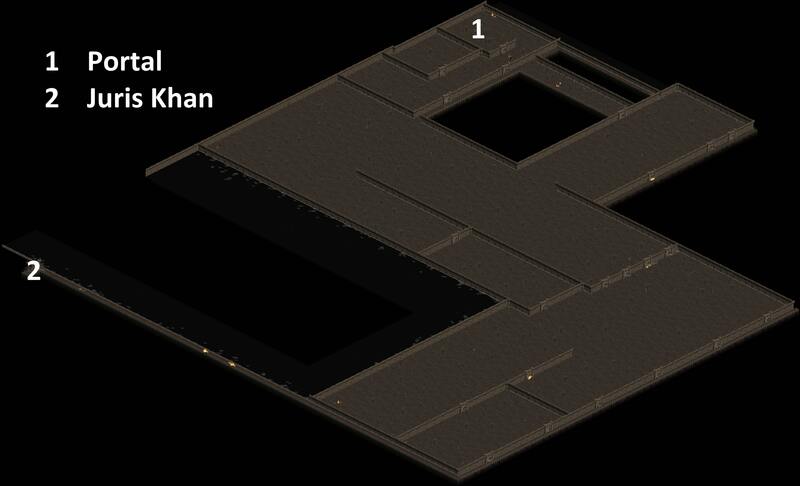 Once we are near Juris Khan, we will blink on top of him and finish him with TFS. The boss isn't very hard to beat. We will continue with max block gear for this. The level is filled with respawning hard hitting monsters, so there is no point killing them and advancing slowly - we will get killed multiple times in the process. The best way is to strike any monster first, activate SR, then walk with increased speed all the way to the boss (MCS) while dodging the packs of monsters. Once near the boss, we will purify him and hit him with SR immediately - he will die in 1 hit. We may sometimes die before we are able to collect the charm. If that happens, we will have to start from the entrance again and navigate through to the boss location to collect the charm. We have left this uber for very late in the game. In destruction, the amazon archers have a chance of casting arrowside, i.e. rapid fire burst of 100-200 arrows at us. Even with max block gear, it is not easy to survive a full onslaught of arrowside. In standard gear it is near impossible to complete this uber. We will have to make do with the lower damage, advance slowly while dodging arrowsides, and kill the priestesses. Safe to say, this is not the ideal farming spot for our character. We will come back to our standard gear. Wretched Sands is accessible through the maggot passage - this is easy to traverse, although lengthy. 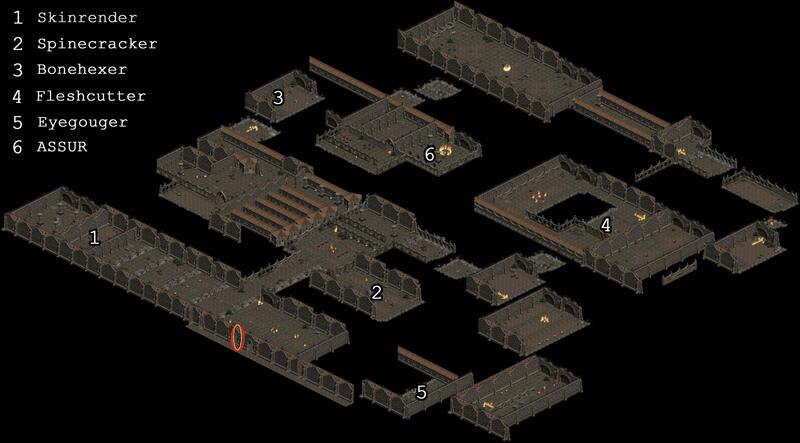 Thankfully because of map reveal, we know exactly where the entrances to the next levels are, so will not go astray. Xazax uses devouring cloud, punishers and a meteor shower attack. He will also occasionally turn us into a maggot, which will make us slow and extremely vulnerable to the meteor showers. But Assassin has 75% curse length reduction from its class charm, so this won't be much of an issue. The real issue will be dealing with unkillable penitents, which are summoned by Xazax when we hit him. The penitents are fast moving and attack with death blossom. Some attacks on Xazax trigger summoning of Penitents more than others, and unfortunately TFS is one of those skills. The area will get flooded with penitents very quickly, but we have no choice but to spam TFS and hope to drain his HP quickly. We will make use of run mode to get maximum velocity possible, dodge the penitents, run/blink to the boss, spam TFS, and kill him. We will get killed multiple times in the process, but sadly there is no other way to go about this. Kabraxis: We cannot melee this guy since he casts a green whirlpool in melee range and he will heal if we are killed. Ideally we would want to use some kind of a multi hitting spell (preferably fire/poison, as we have damage and pierce for those). We have to run around the boss at the optimal distance - far enough so that we are away from his whirlpool, and near enough so that he does not teleport on us, all the while hitting him with the spell. I have tried Immolation bomb Oskill from Assassin claws and shields, but that does very little damage to him. I will try with other spells such as hailstorm. Any help here will be appreciated. Astrogha: Again, it is not possible to melee the boss with TFS since he will summon traps, which will get killed by us and heal him in turn. A spell like hailstorm should work here too, although I have not tried it yet. Uldyssian: Clearing the initial 10 stages is not a problem for us, but Edyrems in the boss stage are. They are poison immune, very tanky and cast scared armor from time to time which makes it very difficult to kill them in melee. I am still to work out a way to beat this uber. Yshari Sanctum: Again, clearing the normal monsters in easy level is a piece of cake, but most of the level bosses are immune to both fire and poison. A dedicated gear setup will be required for this. I have not yet attempted D Fauztineville, Bremmtown, Zorun Zin, Atanna Khan and Void. Will post updates when done. The melee Assassin is one of the strongest and most agile characters in the same. Sadly, the build seems to have lost its popularity of late. Because of the buffs given to TFS in patch 1.3, I decided to give the build a try. This is my first Median XL guide, so any kind of constructive feedback on bettering this guide will be much appreciated. Finally, a round of thanks to ChuckNoris for his TFS miniguide which I used as base for making this; Somnus for consolidating the uberquest maps for easy access; and to Marco, SuchBalance, Rishab, Whist and the entire team for making this great mod. Cheers! Edited by FallenAngel 10 months. I think you forgot to mention destruction fauzinville in harder uber section. As for the build, I was experimenting with it quite a bit this season. I think key to lategame success is to go block route and try to minmax it so you still get decent enough damage. Mana problem can be solved with proper mana on attack setup. Twin fang got buffed quite a bit, despite already being good, because it isn't very popular. So to get good damage you really don't need go full energy to deal enough damage with it. No energy costs us damage via lack of EF bonus as well, which is important to note. I think with proper endgame gear and all charms you can get block without filling every socket with dex. Then there is qustion what spell damage type to focus on, with limited resources, if you can't cap pierce on both poison and fire spell. Difference between those two is mainly, that fire spell can put enemies in hit recovery, while poison no matter how strong, can't. Poison also doesn't benifit that much from spamming (tries to roll high dps from bracket but doesn't stack). There is definitely room for minmaxing this for lategame. Block pretty much quadruples ehp against physical damage. - TFS benefits from energy and dexterity to gain extra damage, so wasting a lot of STR in early game is not something to go for . TU's that require above 200 str to wear are gimping the build as you could use those points somewhere else with more benefits - energy grants more mana and more spell damage... so...(the TU helms ,boots and armor require close to 400 ... ) , therefore in order to have the most efficiency out of it the helm and boots before honorifics must be either rares or cheap rw's created in leather armors for low stats required to wear . the Queen of glass also needs -%requirements jewels in order to be equiped without much str investment . - lc1 can be done at level 50 , no need to be 49 or lower , the challenge does not need that . you gain no xp in hatred TA so you can go at level 50 with no danger of overleveling. LOA and LOM are triggered simply on targeting the monsters in melee, and not necessarily hitting them. This will ensure that we will not run out of mana, and are leeching life continuously. This is simply wrong. (dunno what LOM is, but I assume you meant MOA since you mentioned it in the sentence before) You have to hit the enemy in order to gain Life/mana on attack. You will notice this especially against actbosses in destruction, since they have avoid. You don't hit = you oom. By the way: Have you tried using a honorific claw for terror? It's really not that expensive and since you said your build struggles in terror before level 90, you could give it a try. Cubing it with MOA, LOA and AR makes sure you survive everywhere in terror (except maybe act 5). Would be nice to see a few videos if you're able. Curious in how it actually plays versus reading about it. aerial wrote: There is definitely room for minmaxing this for lategame. Block pretty much quadruples ehp against physical damage. Thanks. Will give it a try using different gear combinations. ChuckNoRis wrote: the Queen of glass also needs -%requirements jewels in order to be equiped without much str investment . Agreed. I'll mention it when on the next edit. HechtHeftig wrote: This is simply wrong. (dunno what LOM is, but I assume you meant MOA since you mentioned it in the sentence before) You have to hit the enemy in order to gain Life/mana on attack. You will notice this especially against actbosses in destruction, since they have avoid. You don't hit = you oom. Thanks for pointing this out. I got confused between Life on Striking and Life on Attack. 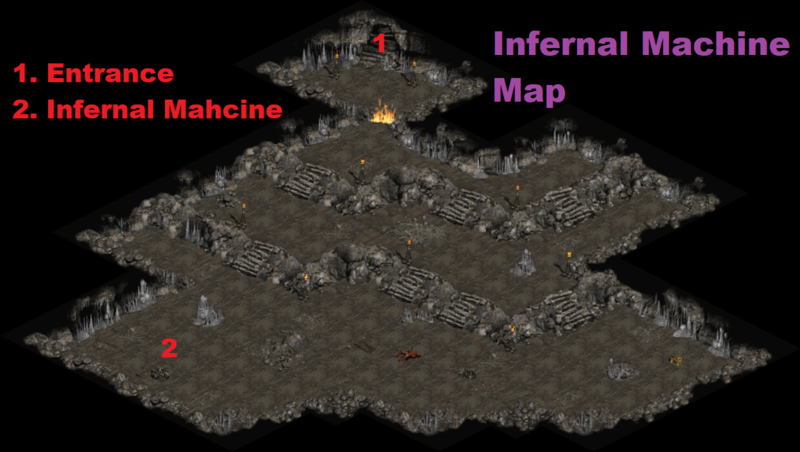 The former works for melee as well as missile attacks, but the later works only for melee. Both require the target to be hit though. Skill definitely has damage, anyone who has caster sin, for example limpet, can just respec and with full ene setup, even with about 200%ish fire/poison (so gear without proper spell damage) and no pierce other than from charms, you gonna get very good damage output. IIRC I had about 17k blossom and 30k/s poison, and that alone can steamroll through jungle for example. That is with -10 pierce from charms..
Fire damage stun, plus fact that melee mobs just can't get us because they die, makes it work. Of course if you run into any area with lot of ranged enemies, with such setup (no block, i used 0 defense passive as well, so just dodge), you gonna get wrecked instantly. But with block I think it might be viable. As it was mentioned before, you do need to hit to get mana on hit, you can notice that while leveling other classes, how from infinite mana with some moa MO on gear, once you get to act boss with high dodge, you suddently start to lose mana rapidly, because so many of your swings misses. aerial wrote: Skill definitely has damage, anyone who has caster sin, for example limpet, can just respec and with full ene setup, even with about 200%ish fire/poison (so gear without proper spell damage) and no pierce other than from charms, you gonna get very good damage output. IIRC I had about 17k blossom and 30k/s poison, and that alone can steamroll through jungle for example. That is with -10 pierce from charms..
Well, I tried it out with Block. I actually played it from the very start without investing even a single point into energy. Of course you can manage mana/life with a honorific claw. And I had enough FHR and FBR to reduce my block rate and hit recovery by 2 (or 3) frames (dunno exactly anymore. I have no access to my data until friday) And had about 48% block. Ubers in general weren't a problem. But farming was. Seriously. TA didn't work at all. Duncraig didn't work either because I only had 7 k fire dmg and 15 k poison damage, so I didn't have enough killspeed. All I was left to do was either Nilathak in Dest (usually 1-2 deaths if lucky. 10+ deaths if unlucky) or Nilathak in Terror (usually 0-1 deaths at most), but farming Nilathak 500 times? No thanks. The only place in destruction I could actually farm was K3K and Torajan Jungles. But Torajan Jungles was too slow and K3K was too unsteady for me. I think I made the mistake of doing the same thing I always do - focusing on defense and block instead of damage and killspeed. Have you considered taking Tiefling Form? Seems like a good idea to get +dex +energy factor and HP. And i don't believe sin has that much defense to begin with anyway.